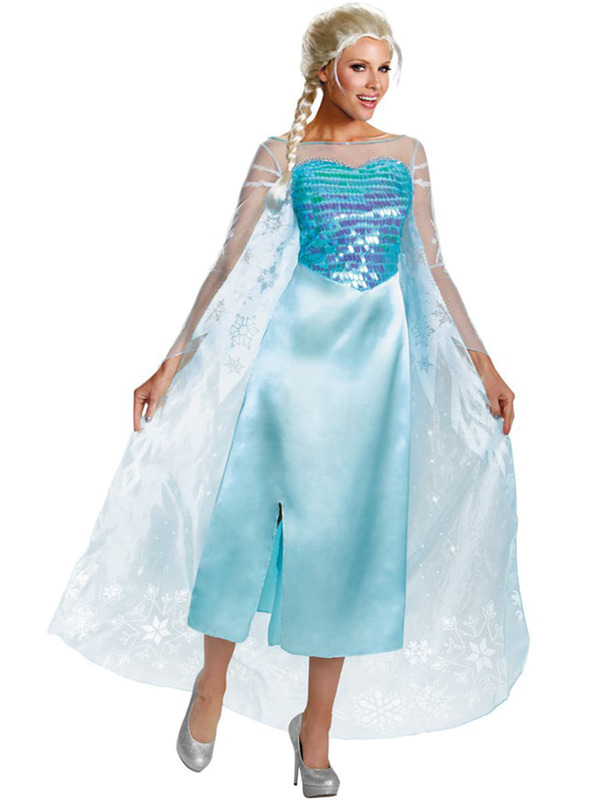 Become the Snow Queen and undo the spell of icy winter with this Deluxe Elsa Frozen costume for a woman. This beautiful Elsa Frozen costume includes a beautiful, shiny blue dress, with tulle sleeves and neck, and a long, azure, tulle cape that has snowflakes which freeze everything in their path. Upload your photos to Instagram with the hashtag #funidelia followed by #funidelia05182. Product Rating: "Deluxe Elsa Frozen costume for a woman"